Our product range includes a wide range of 58 pieces clamping kit, down hold milling clamp, milling clamp, mould clamp, universal strap clamp and mould clamp with heavy support bolt. With the constant support of our expert team, we are engaged in offering a huge assortment of 58 Pieces Clamping Kit. 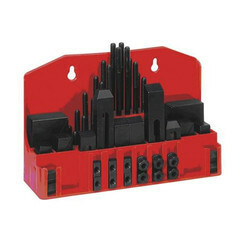 These Clamping Kit 58 Pieces are designed to serve various industrial applications. 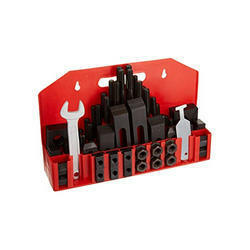 Our Clamping Kit 58 Pieces are known for their easy usage techniques, are very reliable and are highly appreciated for its optimum quality. We offer this high grade Clamping Kit 58 Pieces at market competitive prices. With the constant support of our expert team, we are engaged in offering a huge assortment of down hold milling clamp. 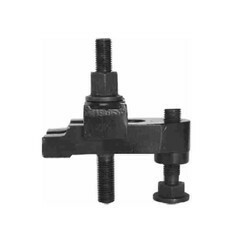 We offer this high grade quality down hold milling clamp as per the prevailing trends and standards set by the industry. Our engineers design and develop this down hold milling clamp by making use of latest and sophisticated tools and equipment. 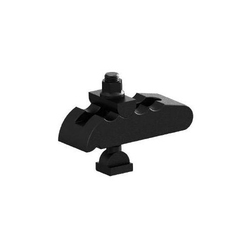 We offer this down hold milling clamp at economical price range. Banking on our enriched industry experience, we are engaged in offering a huge gamut of Milling Clamp. This high grade pressing tool / milling clamp is widely appreciated for its reliability, efficiency and is very easy to use and maintain. 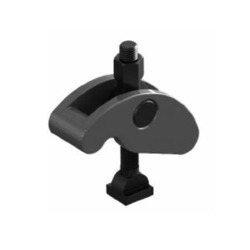 This superior make pressing tool / milling clamp is designed and developed by making use of genuine and quality tested parts. Useful for clamping of moulds on plastic injections moulding machines and pressure die casting machines and other low height clampings on presses etc. Front portion of the clamp holds the mould. No spacer Packings are required at the rear of the clamp since the body is self positioning . Special swivel washer rests on the curved grooves and the centre distance is easily set . Flange nut is tightened on the special washer . Supplied complete with Studs / T-bolts / Swivel washer, Flange nut. 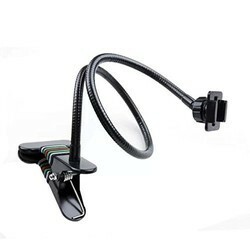 With the constant support of our expert team, we are engaged in offering a huge assortment of universal strap clamp. 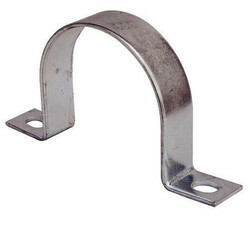 We design and fabricate this high grade quality universal strap clamp by employing finest grade basic materials. Thus, these universal strap clamps are widely popular in the international markets for their superior quality, durability and optimum functions. 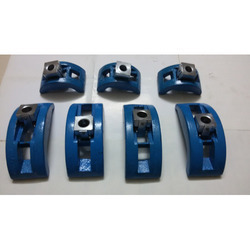 With the constant support of our expert team, we are engaged in offering a huge assortment of mold clamp with heavy support bolt. This high grade mold clamp with heavy support bolts are fabricated from finest grade metals procured from reliable vendors. 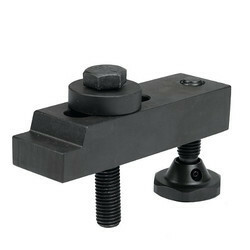 Thus, our high mold clamp with heavy support bolt works efficiently. 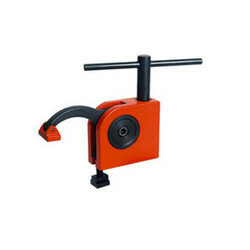 We offer this mold clamp with heavy support bolt at industry competitive price range. 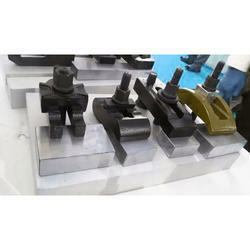 With the constant support of our expert team, we are engaged in offering a huge assortment of u type SPL mold clamp. 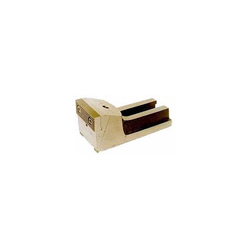 This high grade u type spl mold clamp is widely appreciated in the international market segments for its renowned features such as reliability, durability and matchless performance. 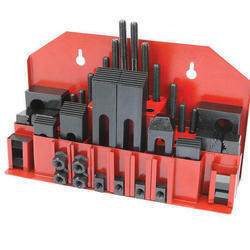 We offer this u type spl mold clamp as per the diverse requirements of various industries. 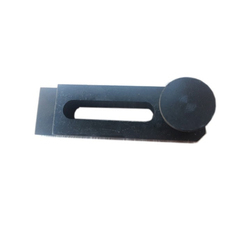 We have been counted amongst the most trusted names in this domain, engaged in providing excellent quality assortment of Injection Mould Clamp. 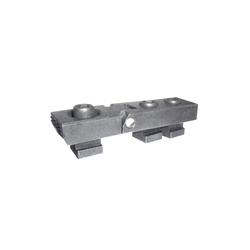 This Injection Mould Clamp is known for its less maintenance and hassle free work performance. To attain the maximum satisfaction of our precious customers, we provide this product at most reasonable price. We are engaged in offering top notch quality injection moulding machine clamp that is manufactured in compliance with international quality standards & ensure to give excellent performance. 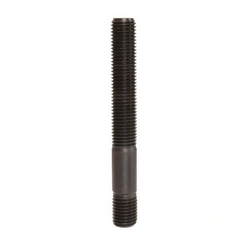 These are widely popular for being rust proof, highly efficient, dimensionally accurate and have longer service life. We are manufacturer of Injection Moulding Machines Clamps with heavy duty support bolt M12 , M16,M20, M24,M30. for mould clamping on plastic injection moulding & pressure die casting machines. 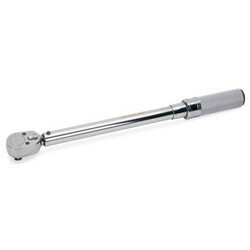 Banking on our enriched industry experience, we are engaged in offering a huge gamut of low height pinch clamp. 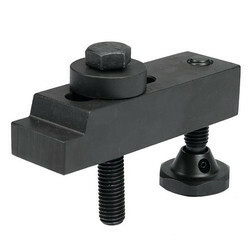 We offer this premium make low height pinch clamp as per the international quality standards set by the industry. 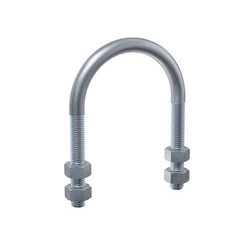 Thus, this high grade low height pinch clamp is very popular due to its renowned features such as sturdy make, premium quality, efficiency and optimum reliability. 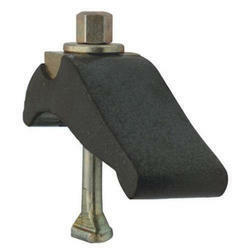 We offer this low height pinch clamp at industry leading price range. Applications Presses, Plastic moulding machines, Milling and in the design of jigs and fixtures. Material Medium carbon steel, heat treated to 8.8 Grade. Material C-45/En-9, Heat treated to 8.8 grade 24-30 HRC hardnes, Chemically Blackened. Applications Holding of press-tool and huge casting/dies while machining. 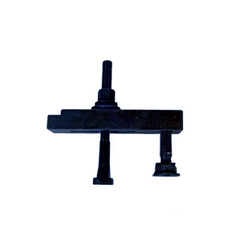 We are offering Mould Clamp (With T-Bolt/Stud and Flanged Nut). Note: Set consists of clamping pad, T-Bolt, Washer, Hex-nut one no. each. 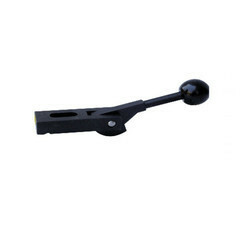 Banking on our enriched industry experience, we are engaged in offering a huge gamut of strap clamp. 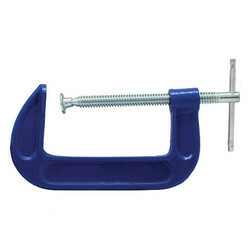 This strap clamp is highly appreciated for its high quality, durability and accurate dimensions. We take into account the diverse requirements of our international clients and offer suitable range of strap clamps. 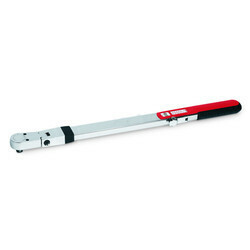 These superior make strap clamp is designed and developed in line with the latest trends and norms set by the industry. Applications On machines for work holding, imparts easiness for inse on/moval due to openness of slot. Material Body and Jaw-seating-high tensile S. G.Iron, jaw heat treated and blackened. 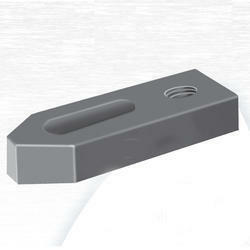 To Secure work - piece requiring higher cutting for ces Angular sliding jaw provides pull-down and side clamping forces.